Here is a lovely quotation by Eleanor Roosevelt, 1884 -1962, wife of the US President, Franklin Roosevelt, and celebrated author and civil rights activist. Elementary+ Learners work in pairs. Try to work out what the quotation is. 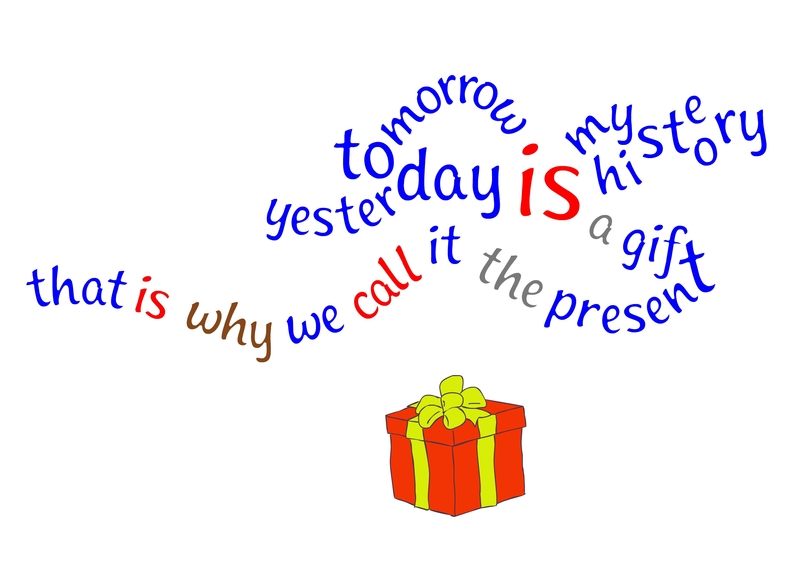 The two meanings of “present”. I love this qoute David. I may have to use it with a FWD message. You are currently reading Today… at language garden.